During the 2017 Mobile World Congress, Motorola, which is now owned by Lenovo, had released two smartphones belonging to G Series. One of them, the Moto G Plus, is now gathering quite a lot of attention after its announcement in India, which became the company’s one of the first target markets this time. Known to be the company’s smartphones to be sold exclusively online, the Moto G Series are well-known for their good performance and durability at a very reasonable price. And when we say reasonable, it means that the smartphone is simply worth buying. Cutting introductions short, Moto G5 Plus is definitely the first smartphone under Rs. 15,000 to run using Android 7.0 Nougat OS. It is also interesting to know that the G5 Plus has a Snapdragon 625 chipset under its hood. What’s special about this one is that it is a well-known power-efficient chipset. And combined along with its 3000mAh battery, users will be assured that it won’t drain too much power even if you have lots of apps installed. Be informed, however, that the case will be different if you deliberately install power-draining apps in your phone. 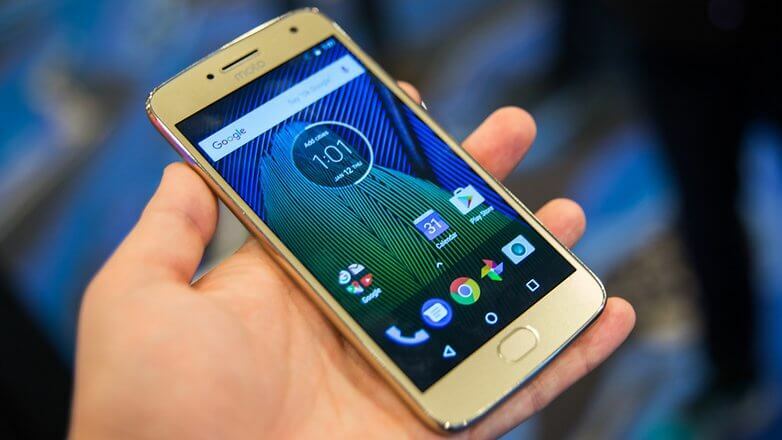 As of now, experts have no doubts in saying that the Moto G5 Plus is now the best smartphone in its price category since it offers features and specifications that are expected to be possessed by more expensive smartphones. At a glance, most Moto G owners will say that it somehow looks similar to Moto Z, especially if you are not going to pay attention to its oval-shaped fingerprint sensor. This is due to the fact that the company itself mentioned during MWC that the G5 Plus is actually inspired by the premium Moto Z itself. Experts cannot blame them, though, since the Moto Z series smartphones are well-known for their elegant look. Depending on the variant, the G5 Plus’ price range starts from around Rs. 15,000 to 16,000. In addition to that, the company also said that its availability won’t be an issue at all.